Now available on all digital platforms! March 15th will see Portuguese up&coming Death Metal unit OKKULTIST Reinventing Evil, the band has been the first act ever signed to MOONSPELL Fernando Ribeiro’s new label Alma Mater Records. After the band just recently premiered their brand new video for ‘Sign of the Reaper’, exclusively with REVOLVER MAGAZINE, OKKULTIST are now sharing with us their full album on all digital platforms! Dive into the evil, and stream Reinventing Evil in its entirely HERE! Reinventing Evil is also now available on Spotify and itunes! OKKULTIST formed back in late 2015. Two years and memorable live shows later, their debut EP Eye Of The Beholder was released by the band independently, but caught up and spread all around Europe and overseas – selling out every single printed copy. Even at this early stage, OKKULTIST already had the honor to curse stages such as at Mosher Fest or Female Growler United Front in Portugal and as an opening act for legendary names such as Entombed AD. Inspired by the likes of Master, Abomination, early Morbid Angel, Death or Dismember, OKKULTIST pick up where impure 90’s Death Metal left. Better be prepared for some infernal vibes and a deadly raw, new Death Metal brand this March, when OKKULTIST will be REINVENTING EVIL! DEADSMOKE + TONS TO KICK OFF EUROPEAN TOUR THIS MARCH! New live video online! VIDEO PREMIERE: Portuguese Death Metal beasts OKKULTIST share ‘Sign of the Reaper’! OKKULTIST premiere ‘I Am The Beast’ video! THE SONIC DAWN STREAM BRAND NEW ALBUM IN ITS ENTIRELY! 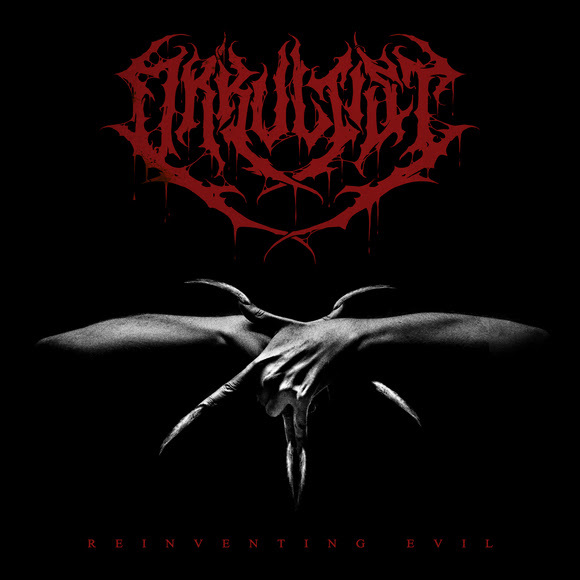 OKKULTIST UNLEASH DETAILS FOR UPCOMING DEBUT ALBUM REINVENTING EVIL! OKKULTIST SET TO RELEASE DEBUT ALBUM IN EARLY 2019 WITH ALMA MATER RECORDS! ALBUM PREMIERE: LOIMANN STREAM BRAND NEW RECORD IN ITS ENTIRELY!